This year seems to be flying by, and summer is quickly coming over the horizon. For us, like many others in Cornwall, summer is our busy season. 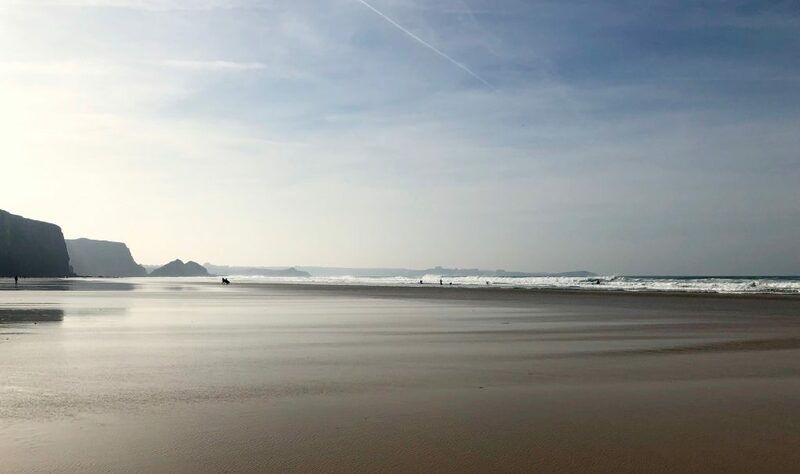 The influx of people visiting the county is a drastic increase from the winter months but it’s so important for all of us that call Cornwall home. With a busy and exciting few months ahead, here are a few reasons why we’re excited for summer. The only logical response to the days getting longer is to spend more time on a beach, right? Whether it’s that after-dinner evening walk or the post-work cheeky surf session, we’ll never complain about time with sand between our toes. We were adamant coming into this blog post that we wouldn’t mention surfing but was difficult not to! One of our favourite things to do in summer is head to a beach along the north coast and catch a sunset. Cornish sunsets always seem to be more vibrant than those we’ve seen anywhere else; the sky gets filled with oranges and pinks that get reflected by the expanse of bright blue water leading to the horizon. A summer evening beach session makes persevering through the dark and cold of winter worth it. The towns around Cornwall come alive in the summer with many choosing to holiday down here. We may be biased considering how much time we spend in St. Ives, but it’s our favourite town to spend the summer days in. The narrow streets fill with people and families flock to the beaches and create memories to be told for years to come. 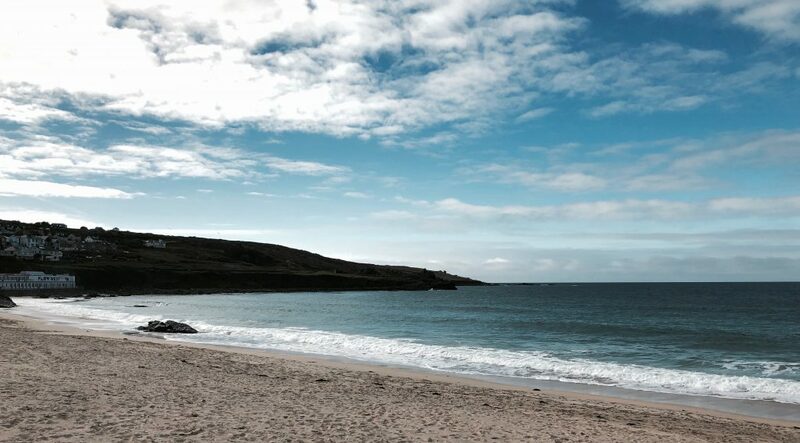 We’ve already spoken about why we love St. Ives in a previous blog post but we’ll talk about it at any opportunity! We love sharing stories with those of you that come into our shop, either for the first time or as a returning customer, and the summer months make this more possible than ever. We recommend picking up some lunch at one of the great places in town (of which there are many) and taking it across to Porthmeor to watch people surfing. For the past few years, we’ve sold at Boardmasters Festival in Newquay, and we’ve seen the festival grow into one that we could’ve never anticipated. It’s one of the highlights of our summer calendar — we get to sell Hager-vor while listening to some of our favourite artists. As a bonus, we get to meet some of you! Since the 2019 line-up was announced, we’ve been eagerly awaiting seeing Wu-Tang Clan. A favourite of ours who have provided inspiration for our Sea Rules design. A lot of the appeal to Boardmasters is the location; the festival site sits overlooking Watergate Bay and is unlike any other festival in the country. Add that there’s surfing competitions during the week and we’re sold. Not that we needed much more convincing! Similar to Boardmasters, we’ve been selling at the Royal Cornwall Show for a number of years now and it’s always been great for us. Another chance to meet a lot of you and hear your Hager-vor stories, it also provides us with an opportunity to engage with other Cornish businesses. We love using it as a networking event knowing that a majority of the brands, and the public, at the show ground are all about celebrating and embracing Cornwall. As a show, it often gets overlooked because of the agricultural aspects but there are plenty of other reasons to visit. The Royal Cornwall Show kicks off our busy events calendar and really sets us up for the season ahead. Are you excited as we are for summer? We’re already counting down the days! Posted in Cornwall and tagged Beach, Boardmasters, Cornwall, Newquay, Royal Cornwall, St. Ives, summer.